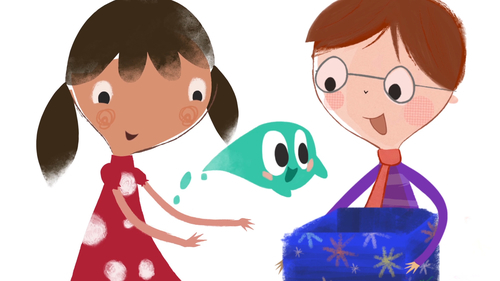 BLOB is the inspiration that helps Toddle and Snook to figure things out. But he does so in all kinds of crazy, unexpected and magical ways. Because Blob can morph into anything. Sometimes he goes too far. Sometimes he causes havoc. But he always finds a way to inspire the two friends to find a solution to their problem. He’s the catalyst that helps them to get an idea. He’s the one who helps them to… THINK OUT OF THE BOX. To watch the Blob Teaser click here! 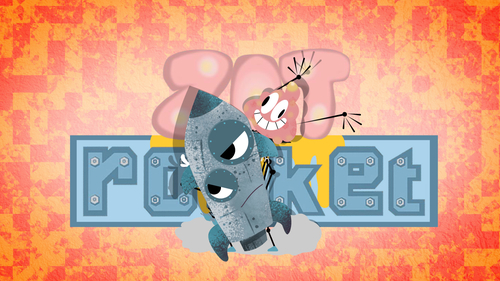 In these zany, animated comedy shorts for 7 -11 yr olds, we explore the unlikely friendship between a slightly unhinged, over excitable Zit (with a tendency to explode with pus at just the wrong moments) and an incredibly laid back Rocket (who’s reluctant to get off his launch pad). One has too much mojo; the other doesn’t have enough. It’s yin and yang. And they’re the best of friends. The Zit and the Rocket live in a cave, in a cliff, in a desert, surrounded by a group of weird animal friends and a cola can that blew in one day and never left. They’re inspired to move around by the Zit’s insatiable demand for adventure. He is the kid who continually plagues his big brother to play with him. And, in this case, the big brother always ultimately gives in. Watch the Zit & Rocket Teaser here!